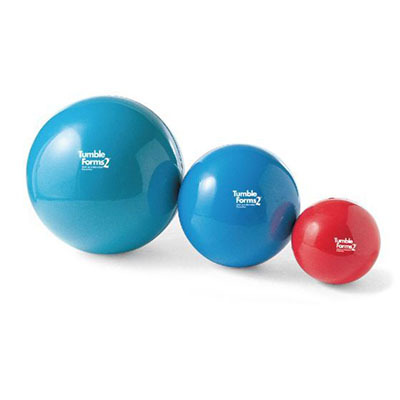 Shapes for balance and vestibular training. For vestibular training, position child on top of barrel and "roll." Use barrel as a tunnel for play therapy or to practice crawling. Soft outer shell for comfort with solid core support to prevent collapse. Roll is 2 feet long with 22" outside / 11" inside diameter. Dimensions: 24" x 22" x 22"
Board has a padded non-slip top with recessed sides to help prevent "pinched" fingers. 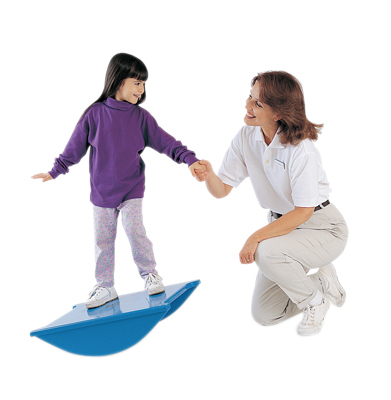 Use board for vestibular activities involving orthopedically and neurologically involved children. 18x24" top / 6" height. 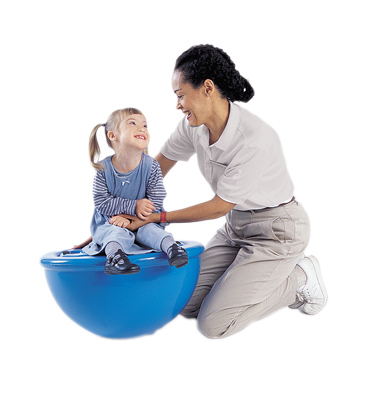 Dimensions: 24" x 6" x 18"
Deluxe Turtle™ Therapy System is ideal for any clinical program, the Deluxe Turtle is a complete therapy system designed for vestibular stimulation and sensory integration therapy. Maximum weight 250 lbs. 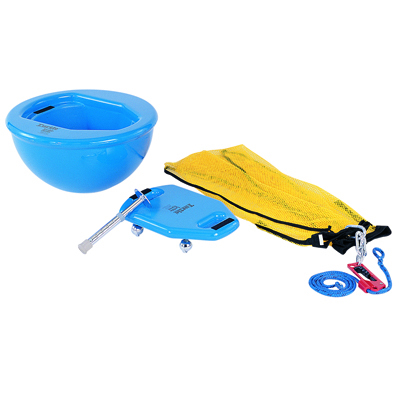 Includes: Rocking Turtle dome, Padded scooter, T-stool attachment, Net swing with rope and ascender, Complete Turtle methods manual. 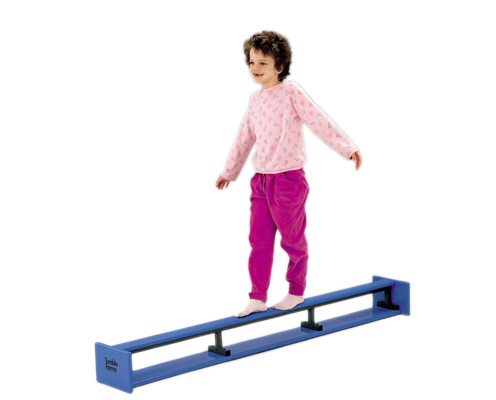 Dimensions: 6" x 12" x 24"
Six-foot reversible beam is covered with durable, sturdy Tumble Forms 2 nonslip surface. May be positioned so width is 3" or 6". Top is 7" from the floor. 200 lb wt. capacity. Weighs 28 lbs. Latex free. Dimensions: 72" x 7" x 6"